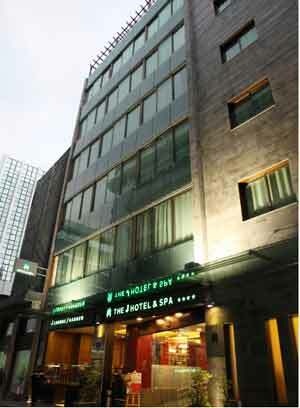 The J Hotel & Spa is located in the thrilling Hamra distrcit. 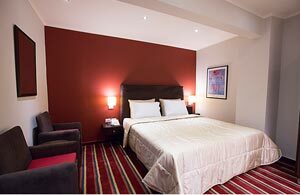 With several places to relax, entertain & escape from the city, while still being in the center of everything, the hotel is the perfect choice for all travellers. 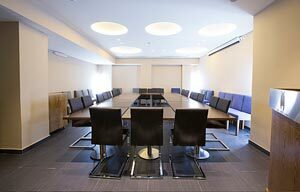 Only 20 minutes from Beirut International Airport & 10 minutes from Beirut Central district. 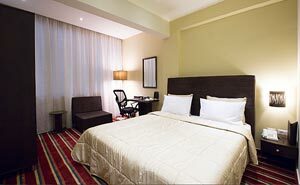 The Hotel features stylish & comfortable rooms. 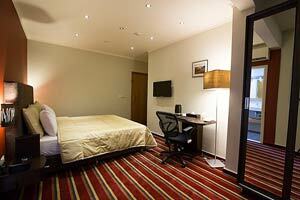 All rooms have a working desk, desk chair & arm chair for your relaxation. 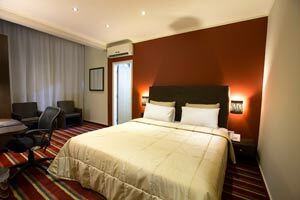 Modern & cozy, you will enjoy the warm atmosphere of the rooms. Situated in a private garden, the J Garden offers a retractable roof where you can enjoy the outdoors all year long. The gym has the merit to exist despite its 2 unique machines. 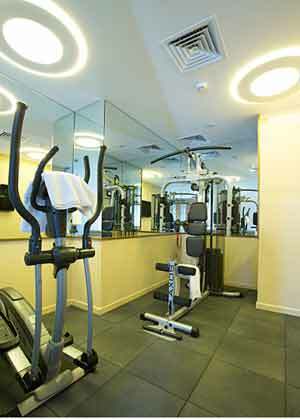 Guests willing to exercice will enjoy this facility provided by the hotel. Offering a wide range of Spa treatments, J Spa pampers business & leisure guests with revitalizing experiences. In addition to massages, facials & body treatments, the Spa also features manicures, pedicures & solarium. Continue your experience by enjoying complimentary access to the hotel whirlpool to relax your mind & body before or after your treatment.